I’ve worked with so many introverted business owners who secretly believe that being introverted means they’ll never be successful in business. They see other people speaking confidently at networking events and looking like they’ve got it all together, and in comparison they feel like they don’t have what it takes. They think that because they’re quiet and reflective, they’re somehow not destined to make a real impact on anyone. Or you might be like other introverts I’ve met who feel safest running their business from behind their computer. You know that to reach your potential you really need to get out in the world, but you just can’t bring yourself to do it. Does any of that resonate with you? Despite what you might be telling yourself internally, you CAN have a successful business being you – being just the way you are. In fact, your ideal clients will love you for all your introverted qualities (they’re actually your secret weapon!). But I completely understand that right now you may not know how to go about becoming a successful introvert in business. That’s my mission in the world – to help you succeed by embracing your introversion rather than fighting it. I help heart-centred introverts who struggle to get ‘out there’ with their business. You don’t need to be perfect, mistakes are OK! If you believe you can, then you can. The rest is just learning the “how tos”. My earliest work was in a research lab, isolated and cut off from people, staring down a microscope all day. I was very unhappy, and I knew deep down that something was missing. Each subsequent job move took me closer to my ultimate joy of working directly with people to help them with problems. After having a baby I was drawn to becoming a coach because I felt the urge to do something that made a bigger impact in the world. I wanted to make a difference in people’s lives at a deep level. I retrained as a coach in 2007. I’m a Master Practitioner in Neuro-Linguistic Programming (NLP) and a certified NLP Coach. I trained with International Teaching Seminars (ITS), an NLP coach training organization accredited by the International Coach Federation (ICF) to provide first class coach training. Having found my joy and passion, I assumed that finding clients would be easy: just get the coaching qualification and clients will magically appear, right?? I had no clue how to find people who would pay me for coaching, and I was terrified to go networking. I wanted to be credible, to look like I ‘had it all together’. I pretended I knew what I was doing, whilst all the while I was in hiding, not wanting to be seen, scared to show the real me. I didn’t have the confidence back then to be honest about how things are, and to feel ok with just being me. I always thought it was a bad thing to be an introvert, and that I was failing as a human because I didn’t enjoy loud parties, small talk or socialising with random strangers, no matter how hard I tried (and I really did try!). The thought of marketing and promoting myself was completely alien. I didn’t feel like I really had a business, and I didn’t know how to ‘fake it’ (the whole ‘fake it til you make it’ mantra was lost on me). Fast forward a few years and I’ve learned how to talk about what I do, and to feel confident in the value that I offer. When you feel things deeply, it can be overwhelming to put yourself out there in the way that we are told we must to make a business work. As a highly sensitive introvert (I’m an INFJ on the Myers Briggs scale), I know this from experience. That’s why I’m so deeply committed to teaching other introverted business ownershow to use what they originally thought of as a hindrance to their best advantage. These days I work with introverted men and women in my one to one coaching packages. I am committed to helping my clients grow their confidence in themselves and what they offer. They learn how to attract paying clients so that they can make the difference in the world they really want to make. 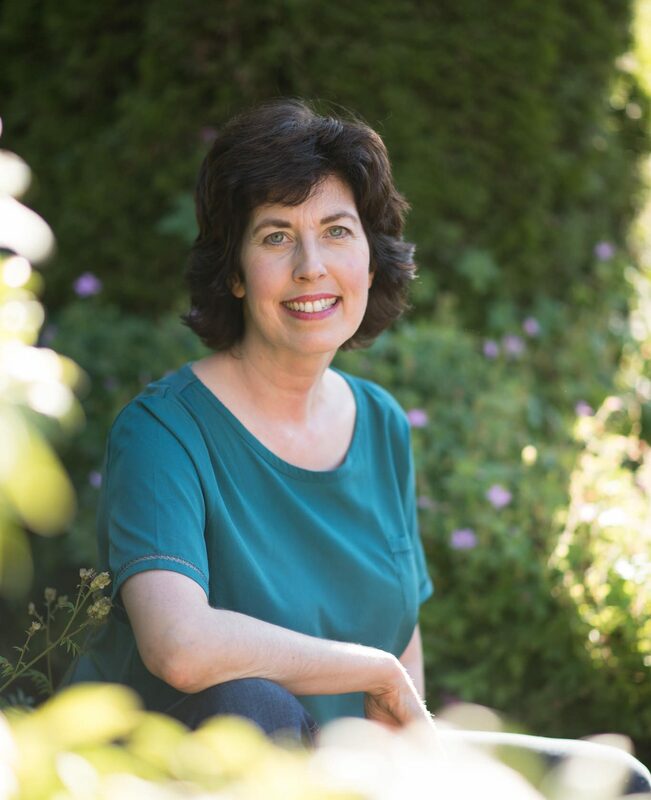 Ann Brown, founder of Happy Being You, is an entrepreneur, highly sensitive introvert and the UK’s leading expert on overcoming the fear of visibility for introverts in business. She is a passionate role model and guiding light for heart-centred introverts who struggle with getting ‘out there’ with their business, and who want to step into their power so they can make the difference in the world they are here to make. Her clients describe her as a ‘steel fist in a velvet glove’; gentle and sensitive yet always making sure they get the results they want. She is dedicated and dependable, using her grounded nature to calmly bring clients back to what’s important. Ann’s vigilance and calm composure help her clients focus and progress. Ann is an authentic and inspiring speaker, with an important message to share; that no matter how scared you are to be visible, you can learn how to get out of your own way, attract paying clients and make a powerful impact on those you are called to serve. She lives surrounded by the wilds of nature, with her daughter and Bernese mountain dog. She loves singing, performing in her local theatre group and taking long walks in the nearby forest.